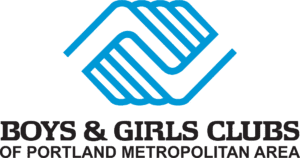 Portland, OR – December 9, 2016 – IKEA Portland transformed the Family & Youth Services Room at the new Oak Grove Boys & Girls Club with a makeover for the more than 250 kids who will enjoy the space along with their parents, teachers and staff. The new Oak Grove Club opened this fall in a school that was built in the 1930s. The building is now on the campus of New Urban High School in the North Clackamas School District. The space was a blank slate, but lacked warmth and comfort. The 100 members of the club will use the multifunctional space, along with about 150 students from New Urban High School. There are two large conference tables and a lot of stackable chairs that are a part of the IKEA professional range of furnishings – so they’ll be able to hold up to heavy, every day use at the Club. Additionally, there are two cozy leather soft seating areas that can be used for family meetings or just reading a good book. The staff also asked for storage and organization solutions including rolling cubbies for children’s backpacks and racks for donated clothing. Now the room can be combined in a number of ways to meet the Club’s programing needs.